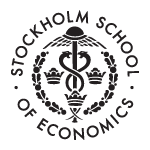 Career coaching for RAMP students at Stockholm School of Economics (SSE). Incluso has created and is running a program of workshops and individual career coaching for candidates in the RAMP-project at SSE. – Ability to present yourself and your skills in a clear and professional way. – Knowledge about the Swedish labour market and strategies to entering it. – Understanding the dynamics of the recruitment process in Sweden. SSE Mentor Program for MSc students: Matching of students with mentors. Incluso is responsible for matching each mentee with a fitting mentor. The Mentor Program for the SSE MSc students is a vital part to expand the students’ networks and to prepare for their future professional lives. Incluso is a certified partner for Nacka’s program Jobbexperten. This program is designed for unemployed citizens within the Nacka municipality and we are focused on newly arrived graduates. Incluso is a certified career coach in Sundbyberg. 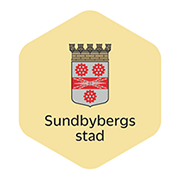 Sundbyberg offers support and coaching for its unemployed citizens. Incluso focus on providing the best tools for a quick access to employment. At Swedish for Professionals, we are passionate about languages and people. We want to create the world’s best business climate in Sweden by welcoming international talent from all over the world. Through our engaging Swedish courses and empowering cultural training, we help international talents navigate their life in Sweden and communicate in Swedish for business and leisure purposes. We are already present in 9 cities all over Sweden. We focus on interactive teaching and language that is relevant to your needs. In our Swedish courses, you are led by one of our engaging language coaches in a customized learning experience. In addition, you get access to our digital tools which enable you to practice Swedish anywhere and at any time. We offer company courses which take place at your workplace as well as private group and individual courses. Cultural understanding is important in order to navigate both professional and personal life in a new country. Our interactive programs help you understand the Swedish culture and norms as well as the drivers behind business practices in the workplace. We unveil the secrets of Swedish culture and empower you and your employees to fulfill your potential.